Forget night fishing at this time of year (brrrr)! 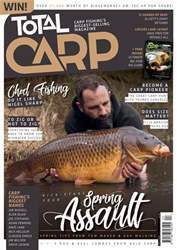 Day sessions are where it’s at and our cover star, Harry Charrington, has all the advice needed to help you catch more on short trips in the colder months. 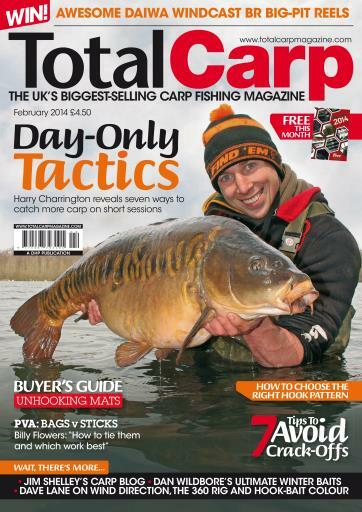 With the huge array of hooks available, Lewis Read discusses which ones are best and when to use them. 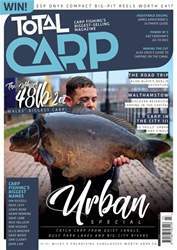 This fascinating article is one of our best ever and every carp angler should take a look to cut through the marketing spiel and make the right choice of hook for you. On the subject of which works best, Billy Flowers brings you an interesting insight into PVA and asks when a solid bag will perform better than a stick and when the stick is king. 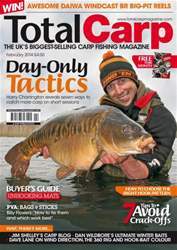 While out on the bank he helps himself to a carp or two, just to prove that his theories work when put into practice. Cracking off your lead can be a thing of the past with Kev Hewitt’s guide to avoiding dreaded breakages on the cast. 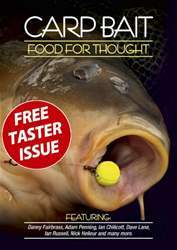 We’ve all been there but Kev’s tips will help you eradicate them in future, and none of them involve anything beyond the capabilities of the average angler. 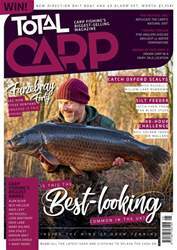 Our usual comprehensive tackle-review pages are packed with the latest gear and bait to be hitting the shelves, plus our long-term Used & Abused tests, reader reviews and, this month, our Buyer’s Guide to choosing the right unhooking mat.